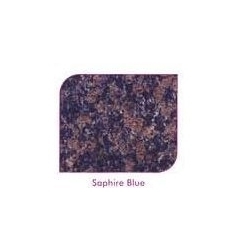 With vast experience and knowledge we are involved in offering an extensive range of Saphire Blue Granite Tiles. These are highly acknowledged among our clients due to their extensive features such as fine polishing, smooth texture and high reliability. These are highly acknowledged among our clients due to their extensive features such as fine polishing, smooth texture. Moreover, we also assure to deliver a defect free range of our products in a fixed time frame.